Here in Toronto, we love our signs. You can tear down our buildings, just don't mess with the signage. The CHUM building on Yonge Street, just south of St. Clair Ave., is going to be torn down and turned into luxury condos. 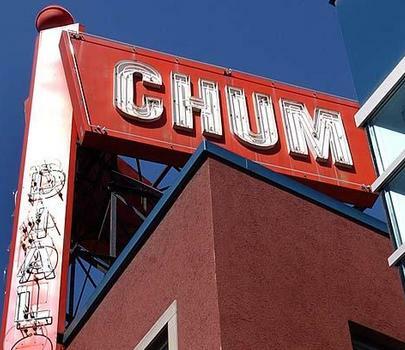 Fear not Torontonians, the iconic CHUM sign will be saved from demolition. I previously examined our love affair with signs after Ed Mirvish passed and I wondered what would happen to the Honest Ed's sign when that property is eventually re-purposed. Prior to that, there was the united cry to save the Sam the Record Man sign and the City TV truck. I don't know about you, but I feel better knowing the CHUM sign is safe. You can do what you want to our buildings, just don't f*ck with our signs. I remember travelling up Yonge earily in the morning on numerious times and the H neon being burnt out. Alway made me smile in a infintaile / MOJO way. Also Pete and Geets refering to the Building "As the Yonge Street Bunker" or just "The Bunker"
Don't say that. Every year a few wonderful buildings are threatened with demolition. Leaving just the sign is pointless. 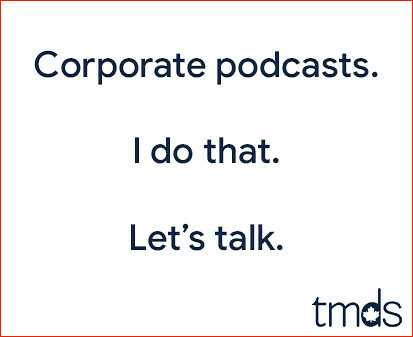 It appeases those who miss the point, I suppose. Much like when I pass the Sam's sign. I was gung ho on it staying, but the important part is no longer there. It's pretty pointless.